Unlike its heavy and powerful high-end siblings, the Galago Pro is thin and light, packing a 13.3-inch display and a Kaby Lake processor. This Linux-powered machine is scheduled to hit the market in April, starting at $899 USD. Denver, Colorado-based System76 has been around since 2005, its servers being some of the first ones in the industry to come with Ubuntu Linux pre-installed. 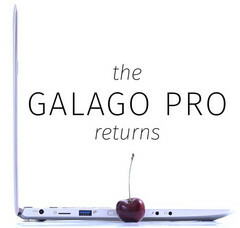 Now, the System76 Galago Pro is ready to hit the market as an affordable, Ubuntu-powered super thin aluminum laptop that might give the MacBook a run for the money. System76 still has to unveil all the specs and available hardware options, but what we know at this time is that buyers will be able to choose on of the various Kaby Lake processor options, mainly Intel Core i5 and Core i7 chips. The memory setup can go up to 32 GB RAM. Galago Pro's slim case accommodates a 13.3-inch high-resolution display and also packs a full-size USB port, a microSD slot, separate microphone and headphone jacks, as well as a power jack. Sadly, there is no USB Type-C present for delivering electricity to this machine. The starting price is expected to be $899 USD, but there is no information about the hardware setup offered for this sum. These being said, we now have to wait for next month's official launch, so stay tuned.